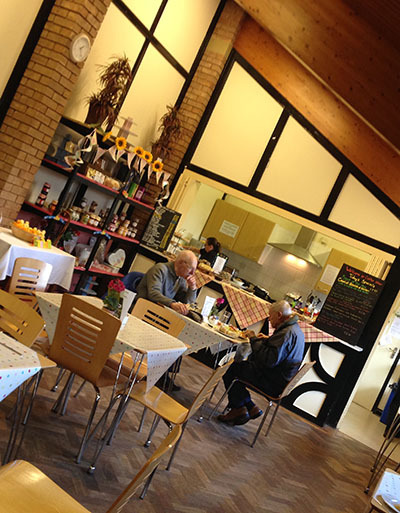 The cafe offers take away and eat-in food from 10am to 4.00pm Monday to Friday - ideal for visitors to the village, businesses or for locals looking for somewhere to meet. You can phone through your order ready for collection on 0151 336 1958. We do cater for our functions, check out our special menus on the Functions page. For buffet, childrens party catering and up to date prices please contact Karen to arrange a mutual time to meet and discuss your requirements. Your own qualified caterers can be used for functions after prior arrangement with us. Daily newspapers are available to order on a Mon-Fri basis for collection here at the hall. In addition to the cost of the paper there is a 30p per week admin charge. Wirral Newspapers are available in the foyer area from Wednesday pm, for residents to collect. Click here to see our regular menu of sandwiches, jacket potatoes and salads or call in to check out our daily specials board with hot and cold meals. Please note that all costings are subject to change so please check with updated menus in Cafe. We respectfully ask that you do not bring your own food/drinks onto the premises unless prior arrangement has been made with our coffee shop manager due to diet requirements. Baby food can be heated in our microwave.